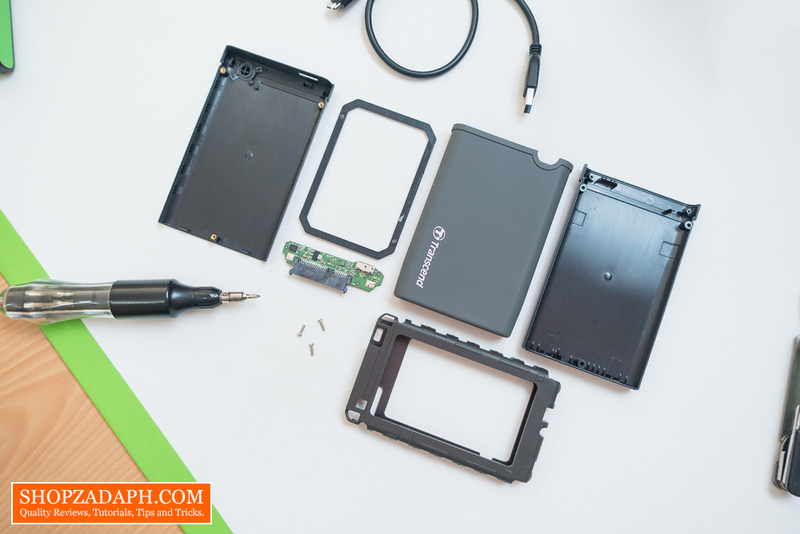 A while ago I released a tutorial on "How to Revive your Old Netbook" using an SSD and today, I'm going to do a follow-up content on that. I want to reuse the old hard drive that we've replaced using the Transcend StoreJet 25CK3 Enclosure Kit. 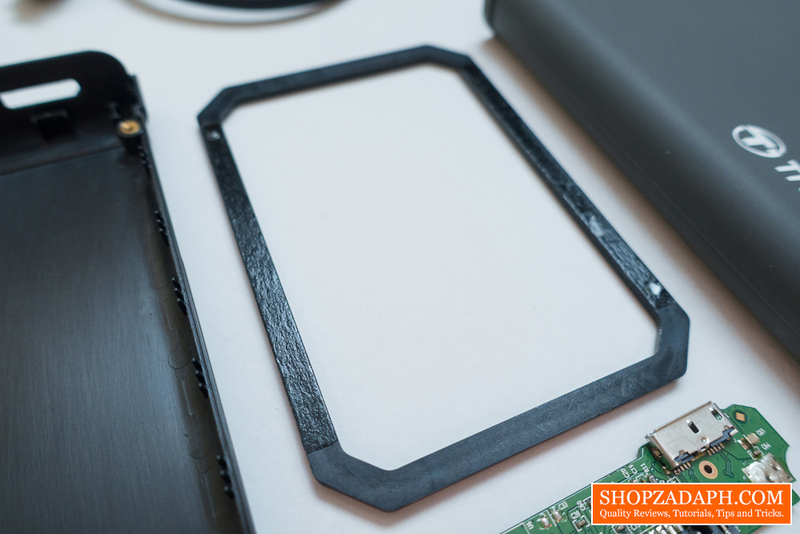 This enclosure kit is an all-in-one upgrade kit and has everything we need for this project. It's also shockproof and features the same one-touch backup capability as the other Transcend StoreJets that I own. Note: The enclosure is suitable for 2.5 inch HDD or SSD up to 9.5 mm in height. 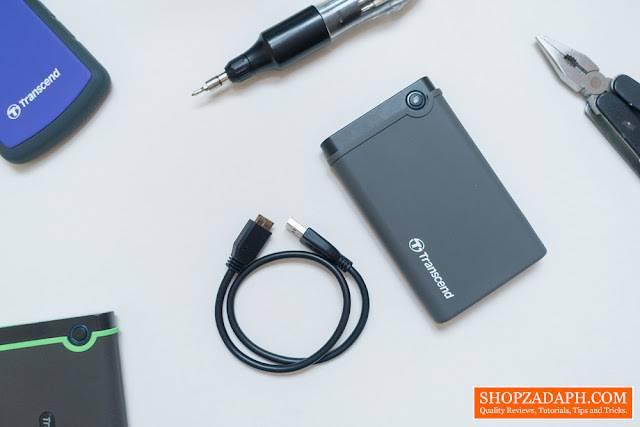 As mentioned, the Transcend StoreJet 25CK3 is an all-in-one upgrade kit that includes everything you need to be able to use a spare HDD or SSD as an external storage. 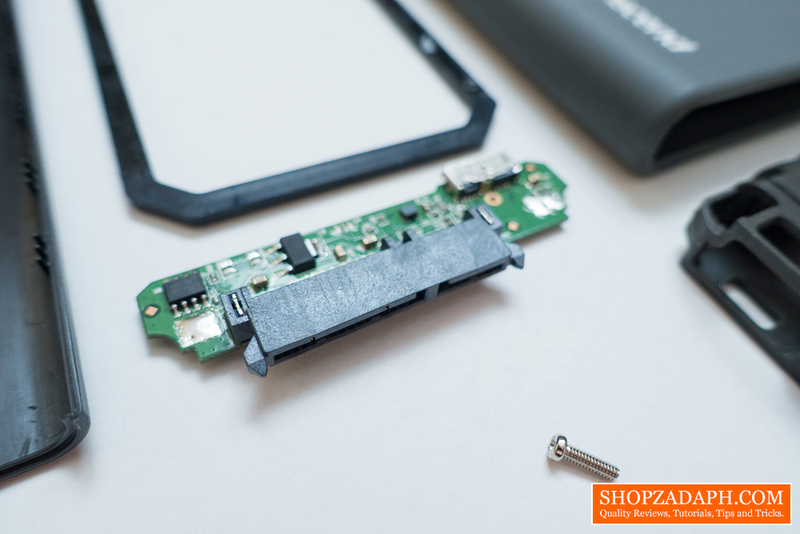 Inside the box, we also have the 7mm to 9.5mm spacer, which is quite necessary if you're going to use an HDD or SSD that has a thinness of just 7mm. 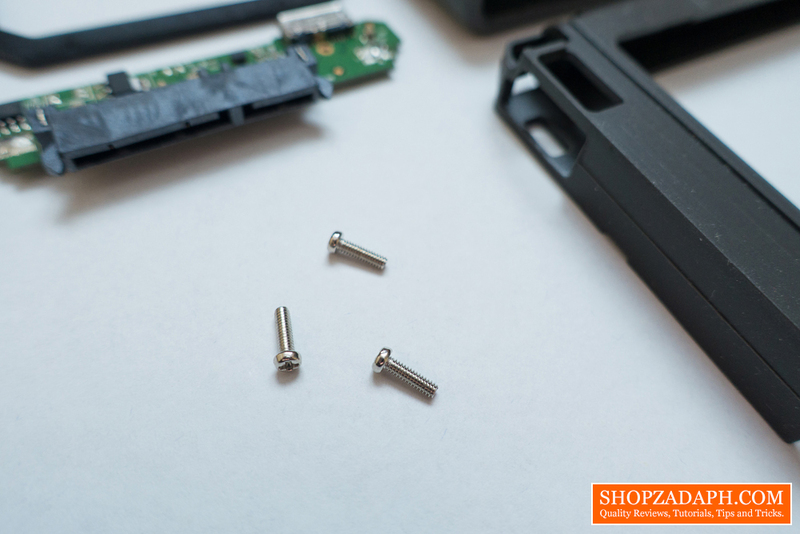 The package also comes with a screwdriver and screws to complete the all-in-one kit. The Transcend StoreJet 25CK3 uses the USB 3.0 interface also known as USB 3.1 Gen 1 that is capable of data transfer speeds up to 5Gbps. So this is suitable for both a mechanical hard drive and a faster solid state drive. 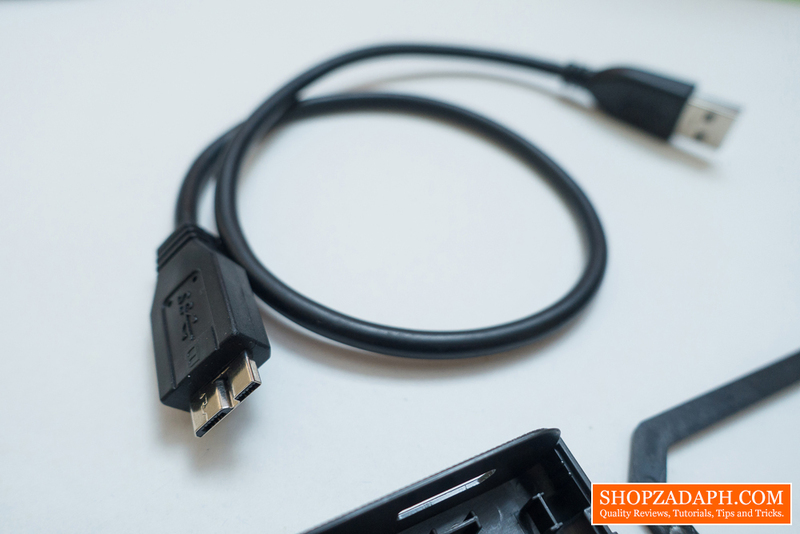 The package comes with a USB 3.0 micro B to USB Type A cable. 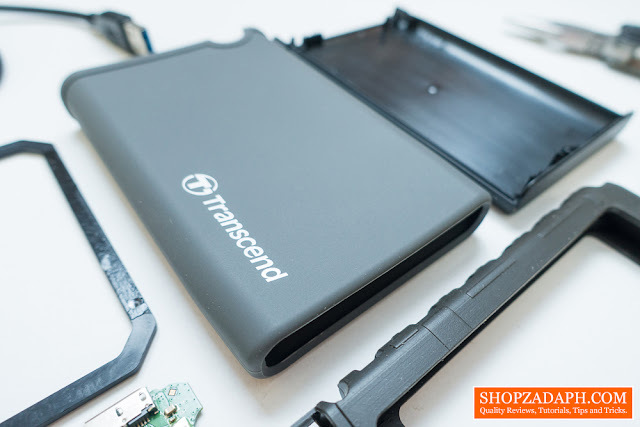 Assembling the Transcend Storejet 25CK3 is super easy but first, you need to disassemble it. 6. 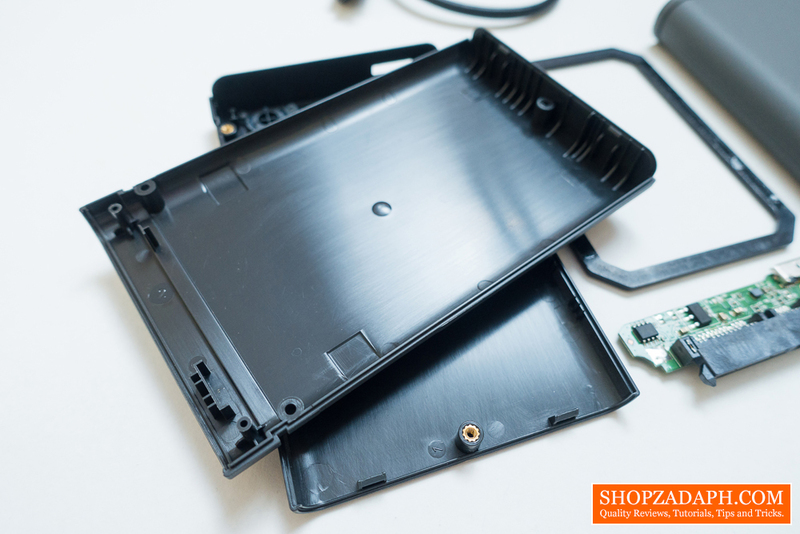 Insert back in the outer rubber enclosure and you're done. The Transcend StoreJet 25CK3 has a one-touch backup button that you can use alongside the Transcend Elite software that you can download here. 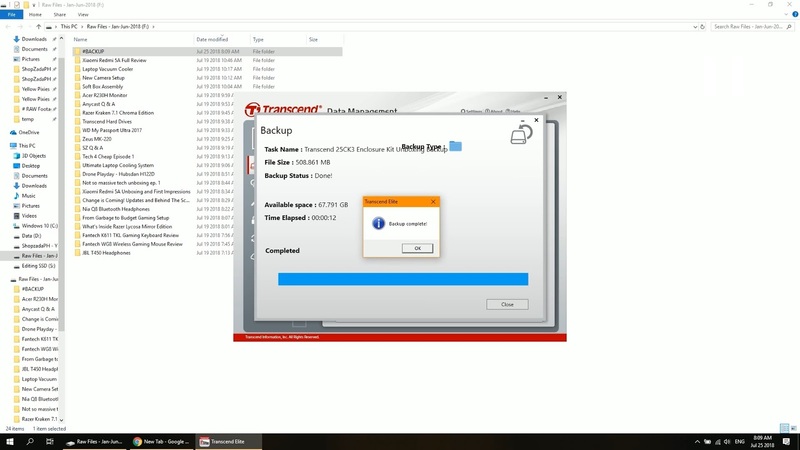 Inside the software, you can create a backup, restore backups, encrypt, decrypt and sync files as well as back up your files to cloud storage services such as Dropbox and Google drive. 1. Create a new task, name it and click next. 2. 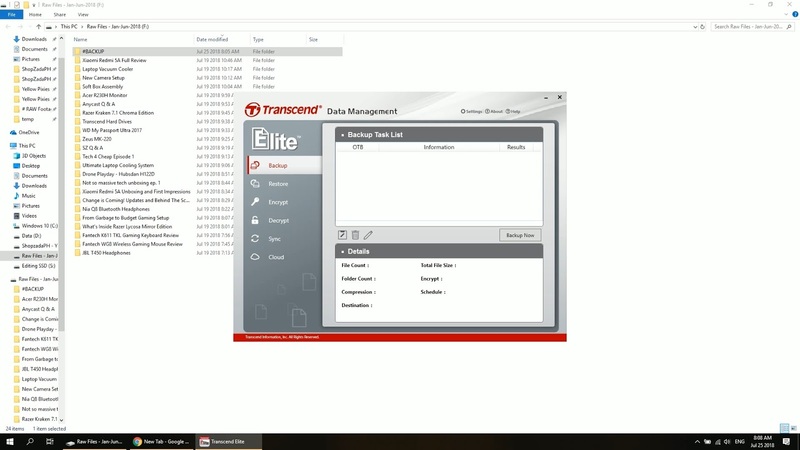 Choose the files or folders that you want to back up as well as the destination folder inside the Transcend StoreJet 25CK3. 3. Select a schedule if you want, choose amongst daily, weekly and monthly and click done. 4. Turn on one-touch backup and you're ready to back up your files whenever you want or depending on the schedule you made. 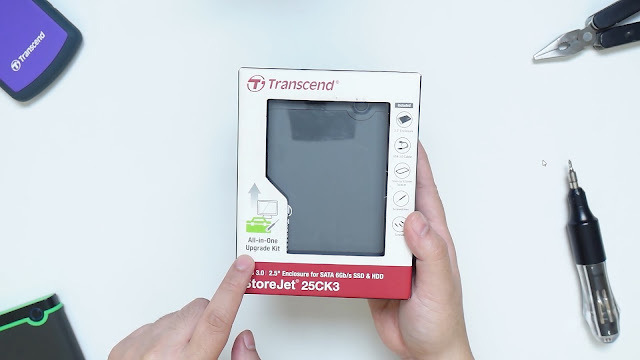 To initiate back up, you just need to push the one-touch backup button on the Transcend StoreJet 25CK3 and it will automatically back up your files. 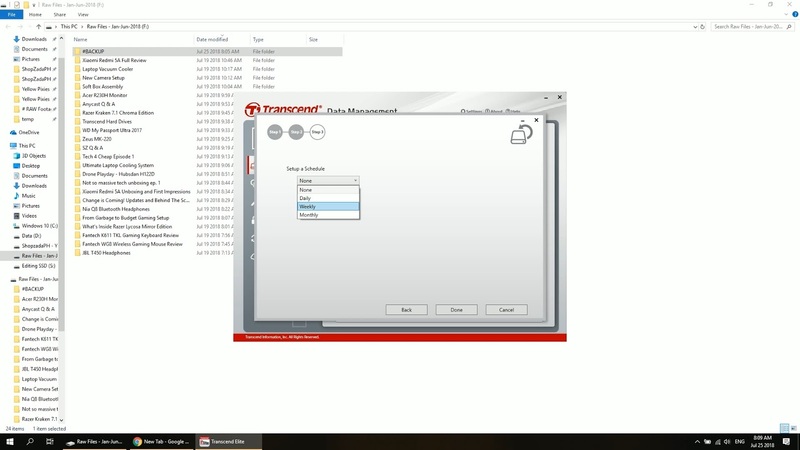 By the way, another cool use of the one-touch button is you can actually use it to reconnect your device after you safely remove it from windows without disconnecting and reconnecting the cable. To do so you just need to simply push the one-touch button and it will automatically reconnect the hard drive to your computer. 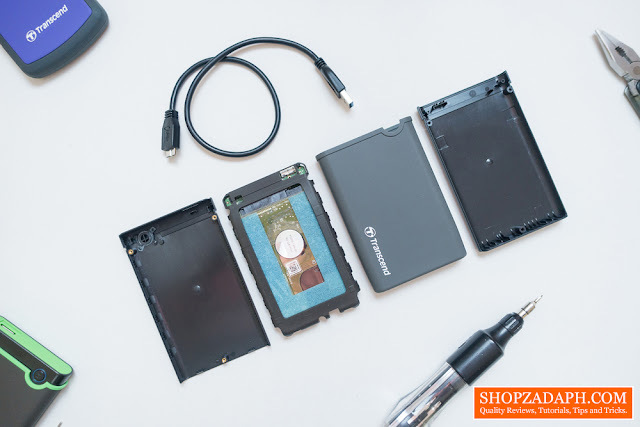 If you're planning to upgrade your PC/Laptop's hard drive and you want to reuse the replaced hard drive, then you might want to consider getting this. 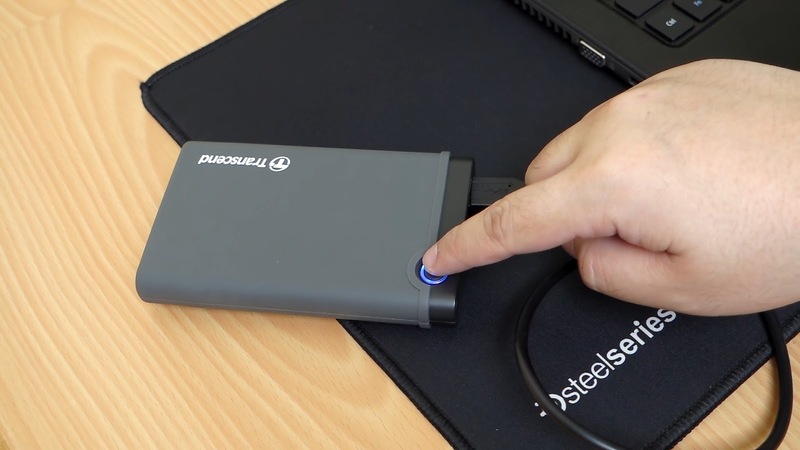 Also, if you have any spare hard drive or solid state drive that you want to use as an external backup storage, then this is your best option compared to a standard hard drive enclosure. 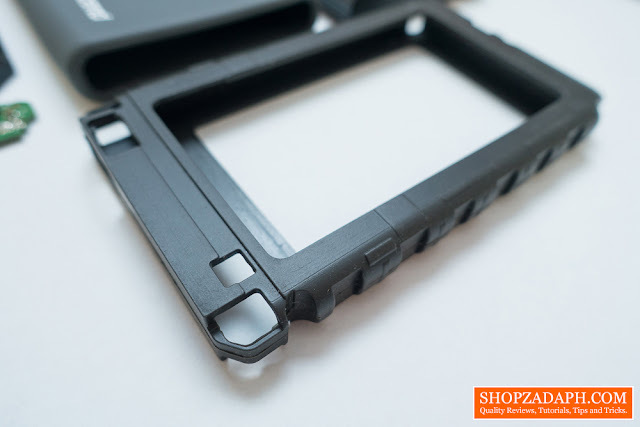 What you're getting here is a durable shockproof enclosure with a nifty built-in one-touch/reconnect button that you probably won't get on a normal enclosure. If you value your files and you don't want to worry about accidental drops, then you already know what to do.